It’s no secret to anyone, more often than not customers are avoiding talking to salespeople. They do most of their research for solutions on their own. This is why you need to find alternate ways to attract them, and marketing is a great way to do this. 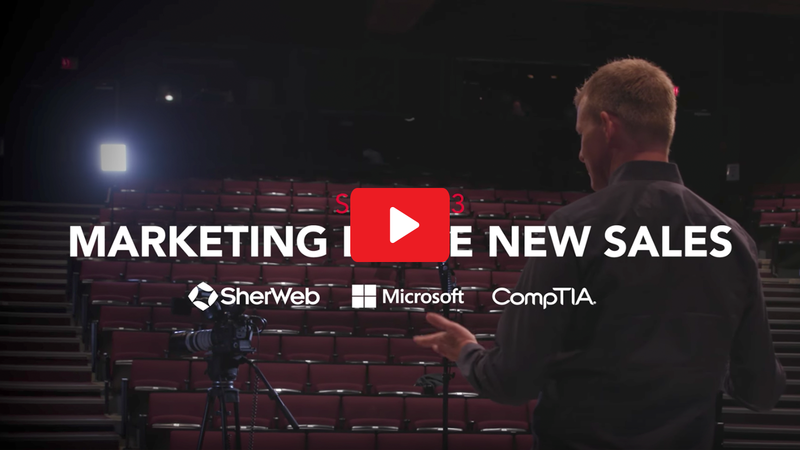 This is where our MSP Marketing Masterclass with Sharka Chobot called Marketing Is the New Sales comes into play. In this session, Sharka breaks down how to reach out to contacts in the digital world. Want great marketing tools to help attract clients? Join our Partner Program to get access to lots of resources to enable your team. Learn more by checking out our InfoKit. First, let’s take a look at Sharka’s bio. She is a Chief Transformation Officer at Neural Impact, a consulting agency that applies behavioral economics, neuro science and persuasion technology to help Microsoft’s partners. Her job is to help improve partners digital marketing by showing them how to emotionally engage their customers, accelerate their Cloud product development and optimize their go-to market strategy. If you don’t have 60 minutes to spare, we took the time to summarize the video for you. 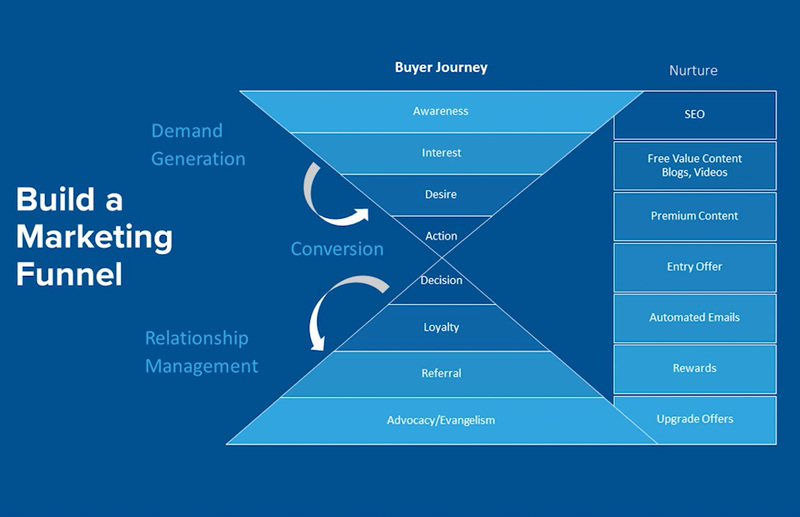 But first, let’s do a brief MSP marketing overview to make sure we’re all on the same page. Over the last 30 years, Marketing has changed a lot. We’ve seen technology transform many businesses, and it is also changing and disrupting the way you market your products and services. This is why you need to leverage your online presence through digital marketing. There is so much information available on the internet nowadays that you have to work relentlessly to stay on top and relevant to differentiate yourself from your competition. We work with partners around the world in multiple markets and we began to realize that what many used as a marketing strategy was in fact simply product features. They assumed that excellent products, great service and happy customers were sufficient to get referrals. This might have worked in the past, but in the Cloud transformation, you have to be smarter. Providing a consistent customer experience is key to your success. You’re no longer in an industry where products sell themselves. Part of your messaging has to be more relevant and specific to your customer’s needs and problems. You have to become a business expert as much as you are a technology expert. How are you different from your competitors? The first thing you need to do is understand your specific business model. You can’t guess what IP to build. You have to do it with your customers in mind. To have a better understanding of your market, you should talk to the customers you didn’t manage to close. There’s a lot of knowledge to be harvested from missed opportunities. Happy customers are still important to listen to, but don’t simply ask them what they want. Instead, go on site to spend time following them around to identify inefficiencies in their work and find solutions so you can continue helping them. Big players are always going to try and drive prices down. Your challenge is to learn how to stay competitive while providing added value that customers are happy to pay for. By offering a range of different packages, with multiple different options, your customer is more likely to engage with your offer. Research has proven that if you give a range of prices for a customer to choose from, they are more likely to buy from you as they feel they were in control during the buying process. This next part is about your messaging. Make sure your voice is relevant and authoritative so your customers recognize it, then you can leverage this awareness to convert leads. When some businesses get new customers, they forget about them after the initial sale. This is a mistake. Once you have them hooked, carry on reeling them in by offering upgrades and new add-ons as they are brought out. Now that you have a clearer understanding of the way your business responds to your market’s needs, you need to figure out how you’re going to grow. Picture where you are now and where you want to be, and you’ll be able to select the strategy that matches your vision for the future. Sell more of the same products to the same market. By doing so, you increase your share of the market. This strategy lets you leverage two current assets: your expertise and your customer base. Sell different products to the same market. Find out which other products your customers are interested in that complement your current portfolio. You’re leveraging one asset: your current customer base. Expand into a new market and serve new verticals with your current services and products. You still leverage your expertise as an asset, but for this strategy to work you will have to work to find a new a customer base to engage with. Build a new IP for a new market. This last strategy will be the most difficult to implement and the most expensive. It requires your organization to grow and expand in terms of both expertise and market abilities. You need to build on your expertise and customer base. Now that you’ve chosen your preferred growth strategy, you have to clarify your value proposition. We offer great service and have happy customers. There’s one sustainable, defensible differentiator that makes it very hard for competitors to challenge you: having a vertical message. You can answer this question by explaining how relevant you are to their business and their situation. Describe how you solved similar problems in the past for other companies to make your solution more appealing to them. One way to do this is to know everything about your customers business. By being as informed as possible you’ll get more skilled at solving problems for your customers. Being able to solve problems for one business in one particular industry will help you to build expertise. In the end, it can lead you to solve a similar problem in another company in the same industry. Since building a value proposition means having a precise offering to differentiate yourself from your competitors, you need to be able to appeal to the verticals you’re working with. Master a very specific business process to become an expert in a specific solution. If you know everything about a particular software, you’ll become the reference point in your market. You might even get referrals from other MSPs that don’t have the same level of knowledge that you do. For example, you could become an expert in Office 365, Dynamics 365 or SharePoint. Another way is to pick an industry and understand it well enough that you can add value to businesses in that market. For this to work, you need to have a specific message for this industry, so they can really relate to your value proposition. For example, let’s say that you work with the legal industry. One of your messages could be: “We’ve helped hundreds of law firms streamline their document approval process”. By now you’ve probably realized that there are many types of people within a single organization. When you sit down with a CEO, you talk about costs and returns on investments. Whereas when you’re talking with the technical guy, you’re more likely to talk about features. If this is true for face-to-face meetings, it has to be the same for your website! Remember that 57% of the buyer’s journey is completed before the buyer even talks to someone from your sales team. Most partner websites are oriented towards a technical audience But you should organize your site so that you address all the players involved in the buying process. This strategy is based on a principle called Buyer’s Personas. You should build a semi-fictional representation of 3 different people from a single organization that you’d like to address, and then you should create your content with them in mind. This persona focuses on product features. Let’s be honest, this is the one persona that you are probably the most comfortable with. To appeal to this persona, you can send them content like product specifications, white papers and product comparisons. They are not afraid to take an hour to read long form content. This persona is interested in the business process and is focused on their department. They’re always looking for benefits and ways to improve. To appeal to this persona, you have to limit yourself to content that doesn’t take more than 15 minutes to digest. For example, case studies or product videos. This persona is results oriented. They want to know about the costs and risks associated with your solution. You need to teach them something they don’t know about their industry. Keep it short and clear , no more than 2-5 minutes. For example buy an industry report and offer it to them in exchange for their contact information. The “Why” is spending the money to fix the problems that the “How” is trying to solve. When you create your buyer personas, include demographics, behavior patterns, motivations, and goals. The more detailed you are, the better. Buyer personas will provide structure and insight for your company. Well crafted buyer personas will help you determine where to focus your time, guide product development, and allow for alignment across the organization. HubSpot has a free tool that can help you to create personas. Check it out here. To successfully convert leads, you need to have a clear conversion strategy. Here are the 4 stages you need to follow to make your strategy a success. Create punchy and relevant content for your market. Work with the strategy you selected (Business Process or Industry Focus) and curate content around what the 3 personas would want to know. This is where you work on your keywords with search engine optimization (SEO) and search engine marketing (SEM). This is also where you build a community on your social media accounts. Now that you’ve created your content, you need to find a way to use it to engage real customers. This part is also called lead generation. Use your content to trade with businesses for theircontact details . This is where you can use call-to-actions, forms and landing pages. Once you’ve converted leads, you need to determine whether or not following up with them is worth your time. Look back over your personas and make sure that the business and the person that you converted is the right fit for your business. You need to use your CRM to keep track of the opportunities. You also need to have a follow-up strategy to make sure you don’t lose sight of any potential customers. This last stage is where you make the most money. Acquiring a customer costs more than increasing revenue on an existing one. Make sure your customers are impressed by what you bring to the table. Here you need to build a funnel. Most people are aware of the first half of the funnel, which ends with the signing of a contract. However, once your customer has signed on the dotted line, you have to continue building a strong relationship. Here’s a diagram of the two sides of the funnel that highlight when you should upgrade your customer offers. Contrary to popular belief, people are not rational. We all tend to make decisions based on emotion, rather than logic. Forget about features and functionalities, emotions created by a challenge or a problem are what really drive people. One single emotional trigger point is enough for someone to spend money on a solution. Find the person in the organization that could lose their job if a specific problem isn’t solved, and sell directly to that person. People only care about their own problems. They pay attention to things that are relevant to them. So address how you offer a solution to their problem. Everyone wants to have more control. Giving access to the right information when the customer needs it is key. You have to show them how your solution gives them the control they want. As we move to the Cloud, you won’t get foot traffic from customers knocking on your door. They’ll make their decisions on their own without meeting with you. This means they might have a hard time trusting you to start. How can you help them trust you? Don’t make claims that you can’t back up. The best praise always comes from elsewhere, so customer testimonials are worth their weight in gold. Which part of this strategy do you want to implement in your business? Do you have any other specific MSP marketing tips you would want to share with us?